My son loves LEGO movies. He has quite the collection. 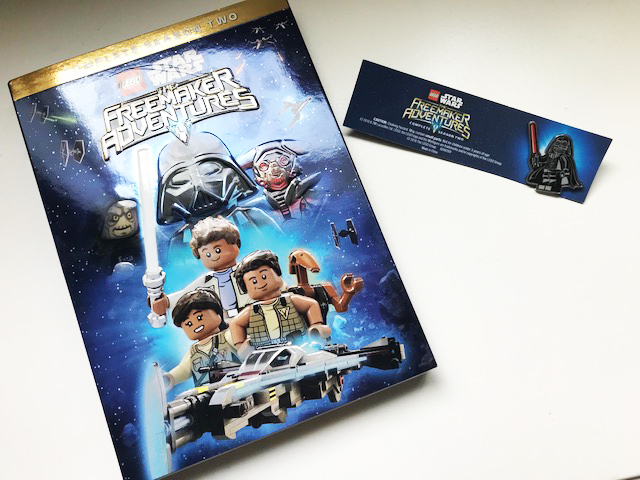 This week, we added the new LEGO Star Wars: The Freemaker Adventures to his collection. This DVD includes 12 action-packed episodes plus five bonus shorts. 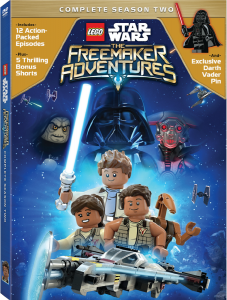 As a bonus, the DVD also comes with an exclusive Darth Vader Collector pin. I know my son will enjoy watching this LEGO Star Wars DVD time and time again. LEGO Star Wars: The Freemaker Adventures is available on March 13th where DVDs are sold. You can pick it up on Amazon.ca for only $19.99 CAD. Click here to purchase your copy now. 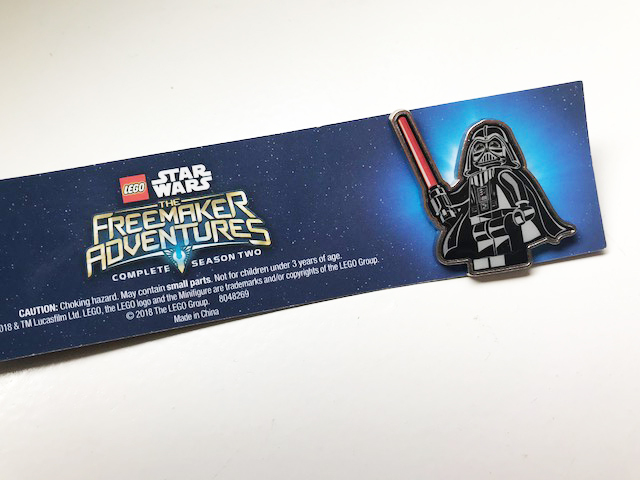 We want you and your child to enjoy the LEGO Star Wars: The Freemaker Adventures. We’re giving away one copy of this DVD to one lucky reader. To enter, leave me a comment below telling me your child’s favourite Star Wars character and why. Then fill out the Rafflecopter form below. Giveaway runs from March 6 – March 16, 2018. Giveaway open to Canadian and US residents. Mandatory question must be answered to be eligible to win. Void where prohibited. See my Terms & Conditions for more giveaway info. Disclosure: A copy of this DVD was provided to facilitate this post. All thoughts and opinions are always my own. This post contains affiliate links. Miss R loves Rey, because she’s a girl who knows how to show the guys who is boss! My little guy loves R2D2! Luke Skywalker because he’s the best Jedi. My daughter said her favourite Star Wars character is Rey because she doesn’t give up. My daughter loves Yoda and thinks he is really nice. Both my boys love the yoga character. She likes robots so R2D2 is probably her favorite but she likes the storm troopers. Darth Maul is my sons favourite because he likes the double light sabre. My daughter loves Chewy and R2D2, thanks! The Porg. He just finds it amusing. My son loves Chewbacca! He loves him for his voice. R2D2 is ds’s favourite as it’s so cute. Hans Solo because he is an endearing father and friend to Chewy!! Ahsoka Tano because she’s independent, nice and caring. My son loves Yoda and likes to pretend he is Yoda by walking like a little old fellow. He says he likes him because he is funny. Our little guy likes R2D2 best because he’s friendly, helpful, fun, plus he loves robots. My son loves Chewie because he likes the sound Chewie makes when he talks. Our favourite character is Darth Vader because he is a great villain. My son likes Yoda because he is wise. My kids love Chewbacca the best, they love trying to do his voice! R2D2 because he helps so much and he’s so funny. Exciting Family Night with Marvel Universe Live!